Akiba Stern has advised clients for 30 years in all aspects of business law, both as in-house counsel and at law firms. Mr. Stern concentrates his practice on outsourcing, technology-enabled business transactions, e-commerce, technology transfers, licensing, intellectual property and joint ventures. He also specializes in transactions involving the commercialization of intellectual property. 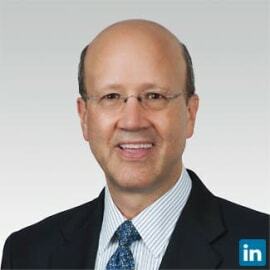 Mr. Stern helps his clients with outsourcing transactions and strategic alliances, as well as with structuring, negotiating and implementing commercial strategies, alliance structures, pricing models, governance arrangements, change management protocols, contract administration and supplier compliance strategies. While Mr. Stern's outsourcing experience is across all business processes (including ITO, AD&M, F&A, HRO, KPO, logistics and facilities management) and many business verticals (including pharmaceutical, entertainment, manufacturing and packaged goods), the majority of his work is for financial services companies, including investment banks, hedge funds, commercial banks, insurance companies and specialty financiers. Mr. Stern has developed a significant background in asset management middle and back office outsourcings. Examples of other significant transactions that Mr. Stern has completed include a strategic alliance between a major investment bank and a credit card issuer, a global strategic technology alliance between a multinational bank and one of the leading Internet portals, and a license agreement permitting the application of one of the world's best known trademarks to consumer electronics. Mr. Stern has lectured widely and has published many articles regarding outsourcing, computer and Internet law, and intellectual property.